After studying Aerospace Engineering at the University of Stuttgart Steffen Hagmann is working as a Ph.D.-student at the Porsche AG since 2015. 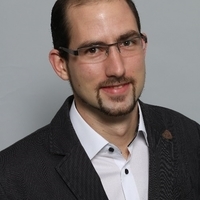 He is responsible for developing and establishing a new mesh-free CFD-Method called “Finite-Pointset-Methode” as a standard method for the numerical simulation of “watermanagement”. Since the computations require huge hardware resources they are done on the High-Performance Computing Center – HLRS in Stuttgart.